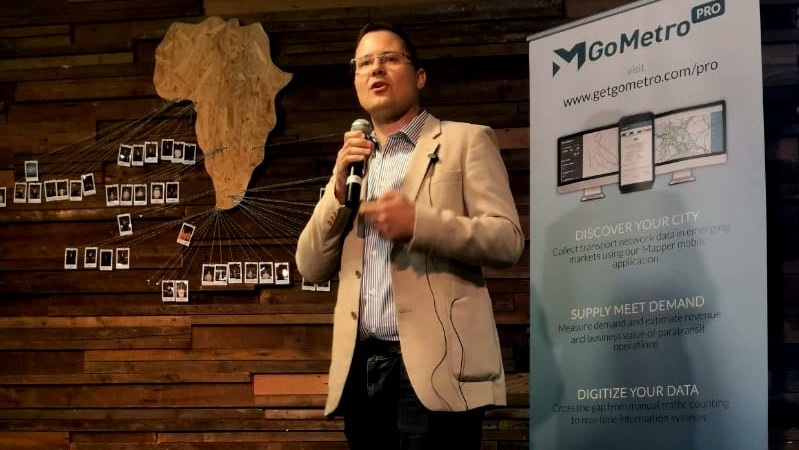 Cape Town mobility startup GoMetro yesterday launched a new self-service application for transport planners to better map and plan transport routes. The startup will partner with Italian company GMG Technology to help distribute the app in foreign markets. Speaking at a launch at the MEST Incubator in Cape Town, the startup’s CEO and founder Justin Coetzee called the new business intelligence and planning platform that his team has spent two years working on “like Strava, but for public transport”. Users that download GoMetro Pro — for Android devices — at www.get.gometro.com will pay at least R999 per app for each active month that the app is in use. The first two weeks of the service however is free. This, Coetzee said, would allow developers to test out the app and platform. Coetzee said the platform allows transport planners and developers to calculate things such as the revenue a vehicle (such as a minibus taxi) makes on certain routes and to things like what the actual routes are that vehicles opt to take. Bus companies can also use the app and platform to conduct inspections of their bus fleet in real time — where the app can be used to detect things such as whether a bus is on the route or not. However, it isn’t all just a free ride so to speak. Any users that uses the platform and app will still have to set the parameters of any project and do the fieldwork themselves. “A button won’t save you from real hard work in the sun, you still have to go to sites,” he said. But Coetzee was quick to add that users would own the data themselves and it would not be “locked away in some proprietary platform”. During that the launch the startup’s founder showed a video of a skype call with an analyst who worked for a Swiss transport analysis company and who pointed out that the platform however doesn’t allow users to measure road congestion (by dropping on a map the speed of the vehicle one is measuring). Coetzee told Ventureburn after the launch however that this is something his team is looking at allowing in the near future. During the launch he also revealed that he will visit the UK next week, where the startup is a participant in Wayra’s Intelligent Mobility (IM) Accelerator, where the company has a two-person team. He said he hopes to meet with potential investors, distributors and transport planners. “So it’s a South African technology that is truly being helped to internationalise, quite successfully,” he added. 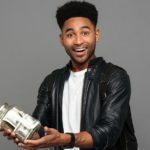 The new GoMetro service looks set to take on a similar offering provided by another Cape Town startup, WhereIsMyTransport. Coetzee would not be drawn on whether the service would compete directly with that of WhereIsMyTransport, other than to say that GoMetro’s product differs from that of his competitor as that of his company is a subscription-based one. In contrast, WhereIsMyTransport collects data and then sells this to city authorities. Meanwhile, Coetzee said yesterday that his startup will launch a pilot of its door-to-door ride-sharing service Flx on 1 June — and revealed that the pilot will be conducted with staff at Alan Gray’s Waterfront office. The startup was initially aiming to launch the service on 1 February, but the launch had been delayed for various reasons, including the drought in Cape Town when Coetzeee said the corporate had to shift its attention to dealing with the water crisis.